MiaB is a simple scheme to make available to emergency services details of an an individual's medication, allergies etc., information which could be vital in an emergency. 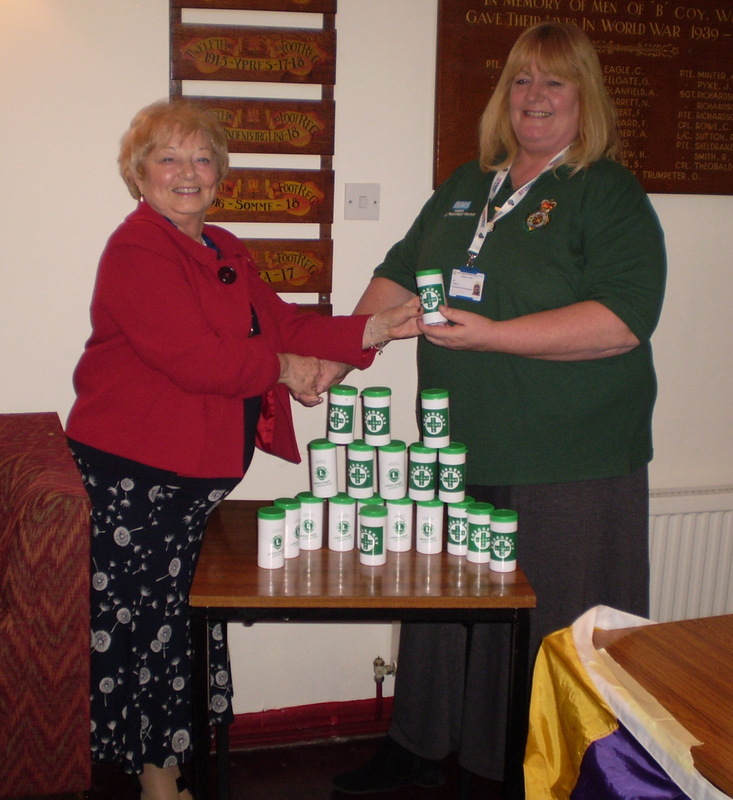 Photo shows Lion Carol Malpass handing over a batch of bottles to a representative of one of the local Community Responders. One of our community activities is a annual litter pick as part of Suffolk Coastal District Council's Operation Spring Clean. 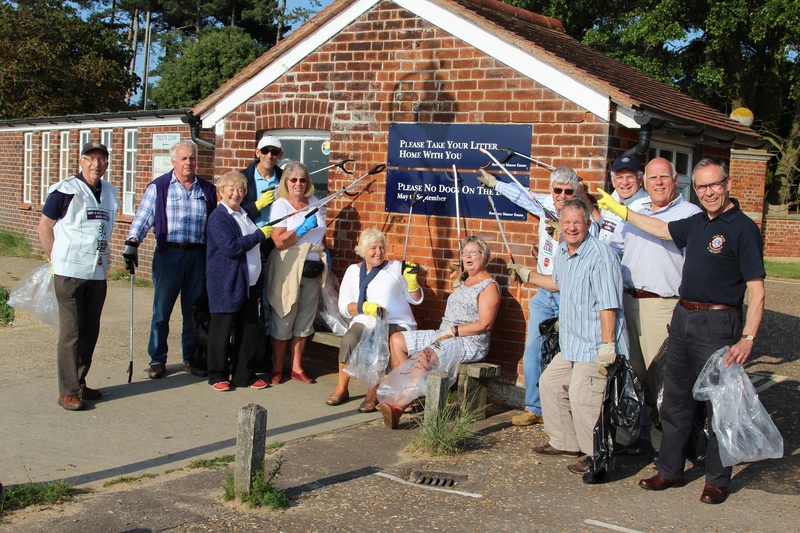 Photo shows Woodbridge Lions and friends at the end of a successful litter pick on Bawdsey beach. 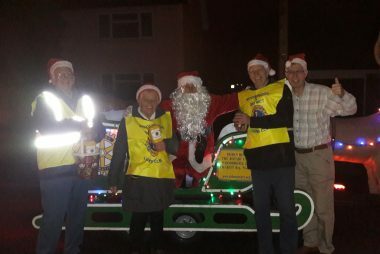 All funds raised from the public are returned to the community, for example as play equipment in local parks or hearing loops in public buildings. 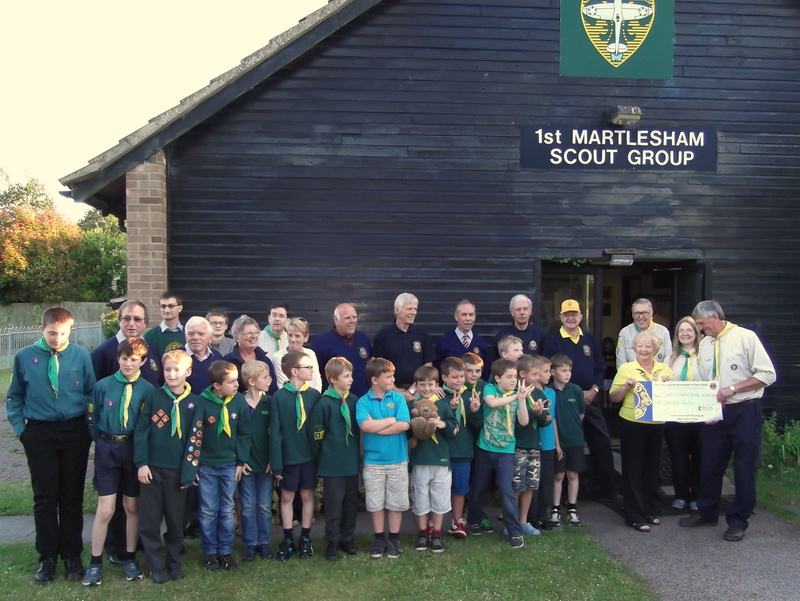 Photo shows a presentation to the 1st Martlesham Scout Group for refurbishment of their Scout Hall. With Christmas now behind us, we take a breath and enjoy a few social activities including a theatre trip and a trivia quiz before Spring events get underway. 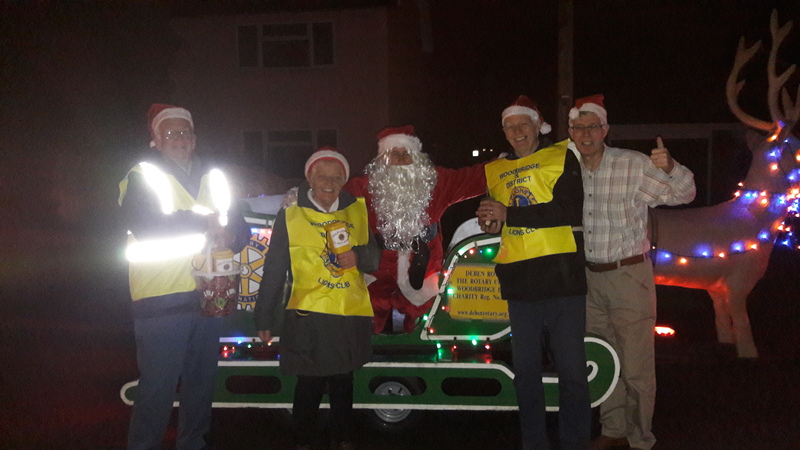 Community activity isn’t neglected though, as we continue to support Quay Time which was launched in the Autumn of 2017.